Home › Box Boy: What Is Your Dream? Box Boy: What Is Your Dream? "Row, Row, Row your boat, Gently down the stream. Merrily, merrily, merrily, Life is but a dream!" We all learnt this familiar rhyme as children but did we stop to think what it means? 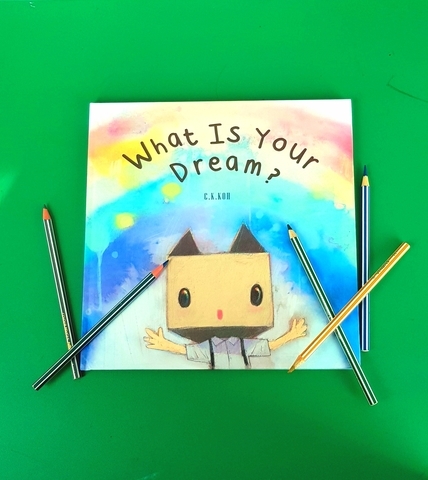 Follow Box Boy in this beautifully illustrated story to see what he makes of life and dreams. C.K. KOH was born in Kuala Lumpur. He is a young contemporary artist who works in fine art media, such as painting, as well as digital and commercial media. CK received his Bachelor of Art in Visual Communication from the University of Central England. He currently lives and works in Kuala Lumpur as a painter and art lecturer. 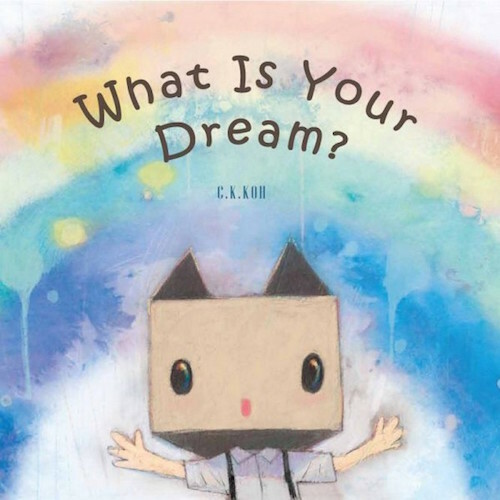 The manga, anime and western fairy tales of his 1980's childhood are the major influences on CK's creations. Hence pop culture icons are easily found in his works.